In a Nutshell: Living Rich With Coupons was founded by Cindy Livesey in 2009 after her husband lost his job, and her family found itself on a tight budget. Within the first year of using coupons to compensate for her limited budget, Cindy saved her family over $11,000 and realized that the skills she had learned could be helpful to others with similar struggles. 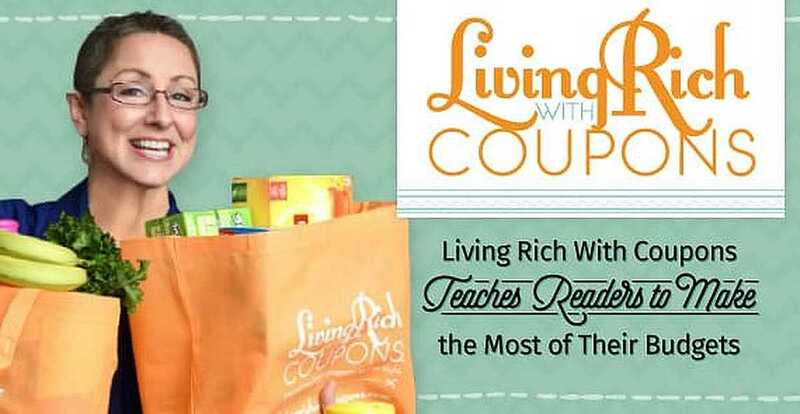 Living Rich With Coupons teaches consumers how to save a significant amount of money using legitimate couponing methods and conservative stockpiling without overwhelming cupboards or schedules. The site has become a go-to for the news, advice, and deals that empower consumers to take charge of their financial lives by shopping and budgeting smarter. The word ‘rich’ can refer to many things: wealth, taste in food, even fertile soil. When Cindy Livesey created Living Rich With Coupons, she had another meaning of the word in mind: a rewarding life. Cindy started Living Rich with Coupons shortly after her husband lost his job, which left the family on a very tight budget. Cindy Livesey, Founder of Living Rich With Coupons, teaches budgeting and couponing techniques. Now, she has a devoted following, a book, and numerous national television appearances under her belt. But she still wants to help others live the rich, full life she attained through couponing. Living Rich With Coupons shows consumers how to save a significant amount of money using legitimate couponing methods and conservative stockpiling without overwhelming cupboards or schedules. Faced with her husband’s unemployment, Cindy wanted to devise a way to be frugal yet still maintain a decent quality of life. It didn’t take Cindy long to discover that her family of five was spending upward of $15,000 per year on groceries alone. And that’s when she began to figure out how to strategically stack coupons with sales and learn to stock up on certain items when they were at their lowest price points. Cindy knew that there were other sites around that were also trying to help consumers on budgets save. However, she also noticed that there really weren’t any sites catering to the stores in her area. From couponing to meal planning, Living Rich With Coupons helps consumers take control of their finances. Her site began as a local movement, but it soon turned into something much larger. People started flocking to the site, which garnered the interest of advertisers and affiliates whose partnerships enabled her to move the site to a larger platform and, ultimately, after over a year, to make running the site her sole full-time job. The site now has 15 employees, including her daughter, and continues to grow. Cindy’s site helps consumers see couponing and budgeting from the perspective of a working family. Many have the misconception that it’s going to be challenging to keep up with all of the ongoing offers, clipping, printing, and trips to different stores. Living Rich With Coupons allays these concerns by breaking down the process, showing would-be couponers that their goals are achievable. And it’s Cindy’s down-to-earth advice and perspective that really helps convey that. With conservative stockpiling, consumers can stock up on essential everyday items without overwhelming cupboards. Cindy aims for her readers to live a balanced life. She noted that schedules and cupboards do not have to be overwhelmed by constantly clipping and hoarding budgeted items. 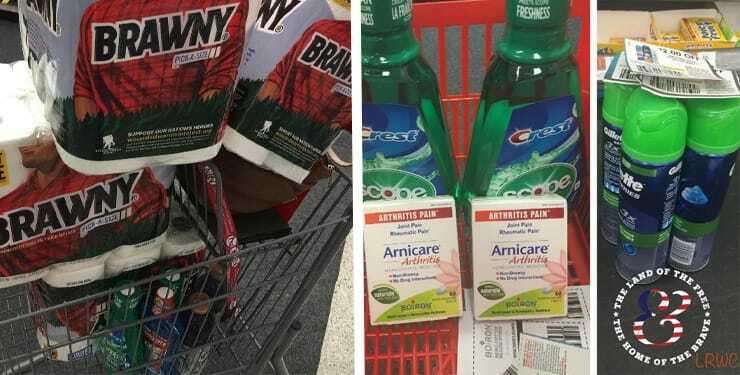 With conservative stockpiling, consumers can stock up on important everyday items they need and not wind up with their homes brimming with unnecessary merchandise. Schedules can be freed up by picking a week each year to set up yearly budgets and couponing goals. While there are many seasoned couponers active on Living Rich With Coupons, those new to the game will feel right at home thanks to the resources Cindy and her team provide. The site’s beginners’ page gets consumers going with information on how to set up a budget and stick to it, financial tips for college graduates, and an easy 52-Week Money Challenge that can save newbies over $1,000 their first year of budgeting. Cindy said she is looking forward to the future and to helping the next generation with a mobile app that gives consumers the ability to coupon on the go and save money anywhere. 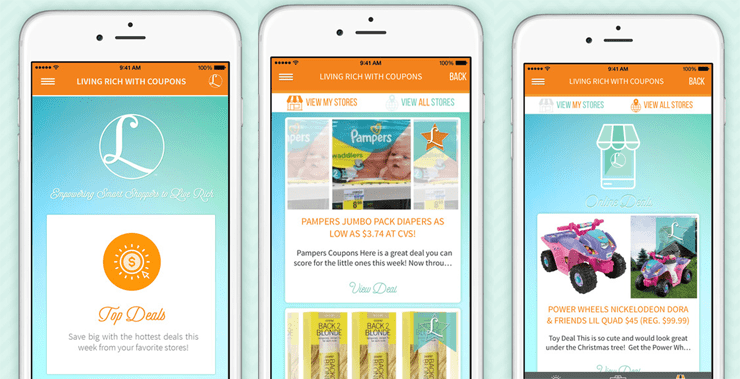 Because the Living Rich With Coupons site was so mobile-friendly, Cindy took a different angle with the app. She wanted something that would zero in on the younger, more tech-savvy generation who always have their phones. Cindy and her team developed an app that only feeds the site’s hottest and most relevant deals based on the stores people are interested in. A clearance section on the app that looks similar to an Instagram feed allows shoppers to see what’s on clearance while in a store. The Living Rich With Coupons mobile app feeds users the hottest deals while on the go. Cindy knows that there are serious couponers out there who are looking to get products at the lowest possible price. But she also knows that many people, especially millennials, are looking for convenience, too. Some consumers would rather spend a few cents more on an item if it means avoiding the store altogether and having it shipped to their doorstep. The Living Rich With Coupons app is perfect for this, as it allows users to find these types of deals and order items directly from their mobile devices. Living Rich With Coupons has come a long way since unemployment forced Cindy and her family to adjust spending habits. In trying to keep her head above water and feed her family, Cindy discovered she could save thousands of dollars a year by being smart about budgeting and couponing. Now, Cindy, who’s been featured several times on the Rachael Ray show, attracts over 4 million people to the site every month, and connects with more 500,000 Facebook followers. Cindy has historically used Living Rich With Coupons as a platform to engage in charitable efforts. The Couponing for a Cause program has helped numerous food banks and shelters acquire products from the overflowing stockpiles of savvy couponers. In the aftermath of Hurricane Sandy, Cindy encouraged her audience to collect and send coupons to empower people affected by the storm to obtain food and supplies. More is in store on the charity front for Cindy with the launch of The 100K Giving Project. With this new endeavor, Cindy hopes to help local women’s shelters give women access to health and beauty products they may not be able to afford. The goal is to donate 100,000 products, amass $100,000 in products, and help 100,000 women. The 100K Giving Project aims to help women’s shelters give women access to health and beauty products. By engaging Living Rich With Coupons readers to help with donations and spread the word, Cindy is proud to see that her efforts are paying off. Her site has become a vehicle to help people improve their lives and the lives of others. It’s clear that when Cindy sets her mind to a goal, she works relentlessly to reach it.